Microsoft Project is a registered trademark of Microsoft Corporation in the United States and other countries. TeamWork Live is a trademark of CollectiveSoft LLC. Copyright © 2019 CollectiveSoft LLC. All rights reserved. Continue to use Microsoft Project to plan your projects. Once planning is done, import your projects into TeamWork Live using the Microsoft Project import tool. Everyone can see what's due, when it's due, and who's responsible. Nothing slips through the cracks. Centralized location for sharing files and organizing project-related communication. Everything gets captured so nothing gets lost. 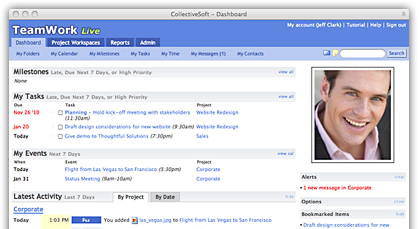 Projects are live and always up-to-date so you don't have to waste time manually updating them. The appropriate people are automatically notified as tasks are completed. Time is not wasted on coordinating with team members.